Every casino game, including keno, has a strategy. Employing these strategies can sometimes reduce the house edge substantially and help one win. Keno strategies incude knowing the game of keno, picking your keno numbers, placing your keno bet, and practicing keno. While at the end of the day Keno is a game of luck, it can be beneficial to know some basic keno strategies. The most important thing in keno is to know how the game of keno is played. Keno is a luck based number picking game. There's a keno board that contains eighty keno numbers. First you place your bet. Then, you, the keno player, select between two and ten numbers. Twenty numbers are randomly chosen by the keno game. Your payout is based on how many of the keno numbers you chose were also randomly selected. The more keno numbers you match, the higher your payout. Now that you know the basics of keno, keep reading to learn some keno strategies that could help you win big! 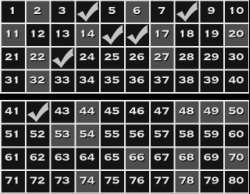 When it comes to picking your keno numbers, there's not much of a keno strategy here, but this is something that you have control over. Some people believe it's a good keno strategy to play high amounts of numbers, like a 9-spot or a 10-spot. This is because in keno, you can play only 25¢ in a single keno game, and win $2,500 if you are playing a 10-Spot. This is because a ten spot could pay out 10,000 times your bet. And that's not the limit either, some keno games pay out twenty, thirty or maybe even fifty thousand times your bet. 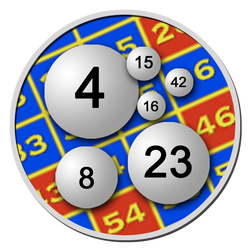 Others keno players may have a strategy of playing low amounts of keno numbers, or spots, like a 2-spot, 3-spot or 4-spot because these are much more likely to hit. Of course, if you're playing these lower spot tickets, you will win more often, but your win certainly won't be as big as the larger payouts for higher spot wins. 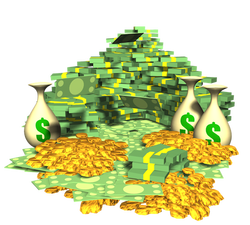 Each casino get's to choose what their payouts are in the game of keno. Some offer payouts for lower numbers than others. If you can find a keno machine or keno game that pays out for 2 out of 5, 3 out of 9, or 4 out of ten, these machines certainly offer higher payout potential than keno games that don't. Note that some times when a keno game offers some sort of bonus game, it may not have payouts for these lower numbers. In addition, the payouts for the higher wins may be smaller since they may be more likely. People have a keno strategy of changing their keno numbers at the beginning of each game, others keep the same keno numbers and play over and over. Their thought process is, these numbers have to come up eventually, which is true. Eventually all keno number combinations will come up, rather you use a keno strategy or not. Some people space their numbers out, some people pick their favorite numbers as their keno numbers. Others like to make shapes, like a block of six, a straight line. One keno strategy is to pick numbers based on special dates: keno numbers that correspond with your birthday, anniversary, an address, phone number, etc. Your keno numbers are your choice, so you can use someone else's keno strategy, or make up your own. Placing your keno bet is one of the few things in keno that you have control over. Most of the time in keno you can change your bet from game to game. You can bet low on one game of keno, then bet max on the next game. One keno strategy is to place a keno bet that allows you to play around one hundred games or more. The game of keno is a lucky game so the more games you can play, the higher your odds are of eventually winning. For example, hitting a ten-spot in keno (that is guessing ten numbers, and having them all also be randomly chosen by the keno game or "come up") is about a one in two hundred and fifty thousand chance (1:250,000). This means, if you played 500,000 keno games, it is actually likely that you would eventually hit a ten spot. The goal then, is to hit a jackpot before you've spent more money than you'd win when you hit it. This is why one keno strategy is to place a bet that allows you to play a lot of games. If you only had $20.00 to play with, it may not be the smartest keno strategy to play $1.00 per game, because then you could only play twenty games. Another keno strategy regarding placing your bet is honestly knowing when to call it quits. Some people believe, after losing so much, you've got to win eventually. While this is actually true, the amount you win may not cover the amount you've spent. For example, suppose someone is playing a ten spot at a dollar per game hoping to win $10,000, and they have already lost $9,000 - this is an example, I hope this has never actually happen to a real person, but I'm sure it has. Suppose that person plays 5,000 more games and actually has good luck, and wins a ten spot and wins $10,000. They spent $14,000 to win $10,000 - this is not a good keno strategy. This is why we recommend playing a free keno game, you won't ever win $10,000, but you don't have to spend any either. Practicing keno won't help you at winning keno, but it's a fun free way to play. Truth be told, you can use all the keno strategies in the world and you may not win at keno. Then again, you can be a beginner at the game, pick a ten spot, and win $10,000. Keno is a game of luck, sometimes it's good luck, and sometimes it's not. Casinos wouldn't have the game of keno in their casino if it wasn't a profitable game, overall, for the house. And people wouldn't play keno if they didn't win sometimes - plus it's fun. So, enjoy these keno strategies, enjoy the game of keno, and check out the free iOS Keno games. The difference between iPhone Keno and Casino Keno.